English. 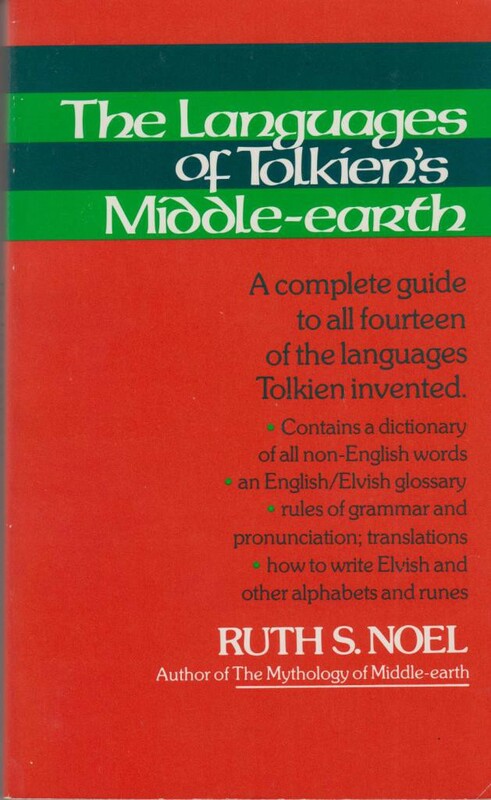 A complete guide to all fourteen languages Tolkien invented. 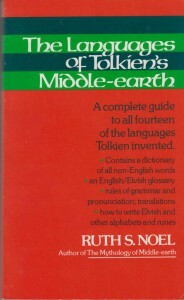 By Ruth S. Noel. Houghton Mifflin Company, Boston, 1980, soft cover, 207 pages, 11,3 x 18,4 cm. Weight 190 grams. ISBN 0 395 29130 5.